It seems like a reenactment of the novel, but The Times is actually concerned about suburbia spreading near Howards End and other literary sites such as Brontë country. The final pages of Howards End are tinged with anxiety at the prospect of the “red rust” of suburbia eating its way into the rural idyll of the Hertfordshire countryside. EM Forster’s fear, which was later taken up by writers including John Betjeman and WH Auden in a letter to The Times, now appears to be fully realised after a new housing development surrounding his childhood home was authorised by the local authority. Campaigners under the banner Friends of the Forster Country are appealing to the housing minister after Stevenage borough council won approval from the planning inspector for almost 2,000 homes surrounding Rooks Nest House, where Forster lived between the ages of 4 and 14. The bucolic landscape was first labelled “Forster country” in a letter to The Times in 1960, when Betjeman and other authors including Graham Greene and Vita Sackville-West called for it to “be allowed to remain as it is, rural farmland, not only because it is one of the last beauty spots within 30 miles of London but because it is the Forster country of Howards End”. Stephen Pollock-Hill, vice-chairman of the campaign group, said that the landscape should be protected because of its literary heritage. Mr Pollock-Hill, 70, who runs the Nazeing Glass Works in Broxbourne, on the Hertfordshire-Essex border, has started an organisation named Historic Artistic and Literary Landscapes to campaign for special protection for areas that have inspired classic works. “There are certain parts of the countryside that are not protected by Areas of Outstanding Beauty or Sites of Special Scientific Interest but which are of literary interest,” he said. “It’s a new category to save places. Even Austen country and Brontë country are not protected. Infobae (in Spanish) interviews Laura Ramos about her book on the Brontës, Infernales. — Pero la convirtieron en nacional.— Si. Bueno, yo hice una biografía para hispanoparlantes para lo cual tuve que aprender inglés. 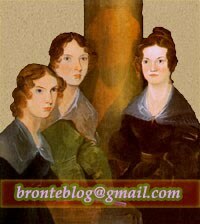 No lo hablo bien de ninguna manera pero bueno, puedo leer textos del siglo XIX tranquilamente gracias a los Brontë porque estuve tantos años leyendo. Era todo en inglés o francés. — ¿Cuántas veces estuviste la tierra de los Brontë?— Tres veces, entre el 2009 y el 2016 fue cuando fui a escribir el libro, pero había ido antes en 1994. — Es el poeta romántico.— Claro, un poeta romántico que fue victimario en un comienzo y después fue víctima. Y Charlotte bueno, es sí, adorable, es adorable. — La cabeza fría además ¿no?— La cabeza fría, claro, y a la vez era una bola de fuego. Era muy enamoradiza y se enamoraba enloquecidamente. Y es genial ver las cartas, yo tengo los volúmenes de cartas, porque ella se enamoraba, no quiero contar los secretos del libro pero, digamos, se enamoró muchas veces, rechazó cuatro propuestas de matrimonio, que era mucho. No era una mujer bella. Terpshichore, Number 9 and Parkslife all post about Northern Ballet's Jane Eyre.